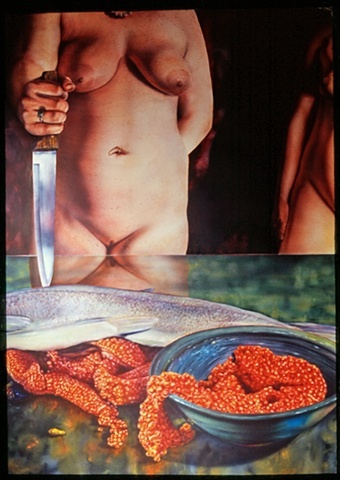 The catalyst for Bowl of Roe was a group of women I overheard on the banks of the Kenai River in Southcentral Alaska. They were angry at the sight of salmon roe littering the beach discarded by Alaska fishermen. My intent was to explore the interplay between the women, the roe and their anger.